How Often Does My Dog Need to Be Walked? The question as to how often a dog needs to be walked is one that many dog owners wonder about. Although there is no clear-cut answer to this question because the need of each dog varies, it is generally recommended that dogs should get between 30 minutes to an hour of walk daily. The decision falls squarely on your shoulders. To be able to determine how much walk your dog needs, you ought to understand why your dog needs to be walked in the first place. Once you understand the purpose of dog walking, it becomes easy for you to figure out your dog’s needs. Remember that your vet can give you very valuable, personalized advice on this subject! Physical Fitness: Regular walks help your dog to get the exercise he or she needs to remain physically fit and healthy. Your dog can maintain a healthy weight and remain mentally balanced. To Prevent Boredom: Boredom in dogs can lead to unwanted behavior such as tearing up cushions and digging in your yard. Walking your dog allows him or her to dissipate pent-up energy so that he or she isn’t inclined to look for some other avenues to do so. To Empty Waste: During walks, your dog gets the chance to “go potty” so that there are fewer accidents in the house. To Socialize: Walks present your dog with the opportunity to mingle with other humans and dogs. Your pet can become used to the noise and seeing unknown people without becoming anxious. Breed: Different breeds of dogs have different exercise requirements. 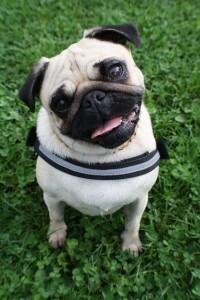 While some such as bulldogs, pugs, and Pomeranians may become tired out by a 15 minute walk, others keep going for much longer. 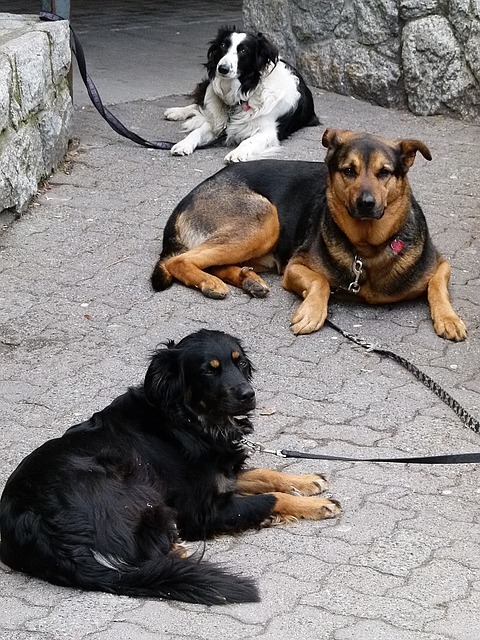 Guarding dogs would need less exercising than sporting breeds. Energy Level: Even within breeds, some dogs tend to be more energetic than others. So your dog’s energy level needs to be determined for you to know how much walking she needs. A highly energetic six-year-old Golden Retriever may need more exercise than a calm three-year old of the same breed. Age and Size: Puppies are expectedly more active than seniors and may require more frequent walks. A 10-month old Irish Terrier puppy is going to need more running around than a five-year old Whippet. Diet: What you feed your dog with may determine how often he or she would need to be relieved and exercised. Health Condition: Dogs that have pre-existing health issues or are recovering from an illness or surgery need to be walked cautiously. Dogs with diarrhea, for example, will need to be walked more often to prevent them from soiling the house. Schedule: Your schedule will surely affect how much time you can give to your dogs and is a major determinant of how often you can walk them. You may need help with this, and that’s okay. At Saint Louis Dog Walkers , we are always at your service whenever you need reliable and professional dog walking and pet sitting services. The Weather: The current weather condition in your location is also an important consideration. You may not be able to walk your dog during harsh weather. This means you will need to make up for it when conditions improve in order to prevent weight gain. Visiting a park affords your dog the opportunity to exercise and socialize with other canine companions. Being a public place, every visitor to a dog park has the right to enjoy their stay without being harassed or intimated by another. If your dog misbehaves at a dog park, his or her actions would pose a nuisance to other users and in situations where it causes harm to others, cost you financially. Dog owners have the responsibility to keep their pets in check at all times. Teach basic commands: The most effective way to control your dog’s behavior is training her to obey your commands. Enroll both of you in a training program where your dog learns basic cues like “heel”, “sit” “stay” “leave it” and so on. Train under different conditions: These commands should be taught in various locations privately and then publicly so that your dog becomes accustomed to them and they become second-nature. A dog that responds to instructions in a backyard may behave differently in a place filled with other dogs. Your pet may get carried away by the activities and the excitement of seeing many others and ignore your calls. You need to take the time to expose your dog to training under different conditions. Exposure to different environment and conditions should be gradual and you should only take on a new challenge after your dog has mastered one. For example after training privately in the backyard, you can then enlist the assistance of friends and family members for the same training in the same location. You can then graduate your dog to obeying these commands in a new environment with more people and so on. 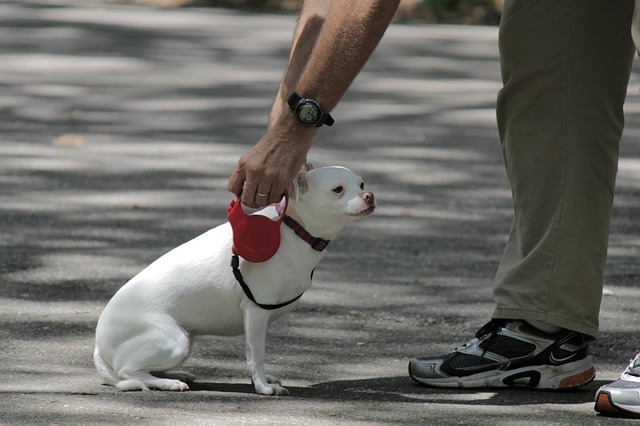 Leash Training: You should also let your dog get some leash training to enable you have some control. Learn to assert your authority with the leash. Discourage leash pulling by doing the opposite of what your dog desires. Use Treats Sparingly: While training your dog to obey, use treats only for the first 2 to 3 sessions and as time goes on, use other means such as cuddling, patting on the back or verbal encouragement to reinforce positive behavior. Prolonged use of treats would make your dog become used to being bribed before obeying commands. Remain Calm: Shouting or running after your misbehaving dog is likely to increase excitement and reinforce the negative behavior. If your dog acts naughty, it means they need more training later on. Leave Immediately: Don’t punish the act on the spot, simply take your pet straight home and do more training. It is important that you head home after an episode of bad manners and not to some other place like a store so that you don’t inadvertently “reward” your dog in the process. As emotional beings, dogs can sometimes suffer from depression which can be triggered by different factors. 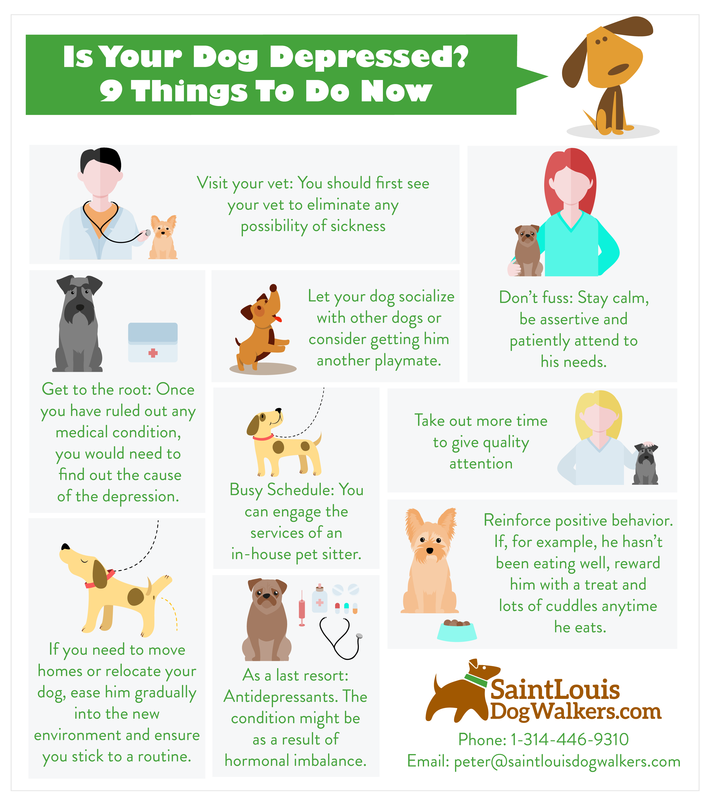 Depression in dogs isn’t difficult to notice and as an owner, you should be able to observe the signs so that the cause can be addressed before it poses a threat to your dog’s life. 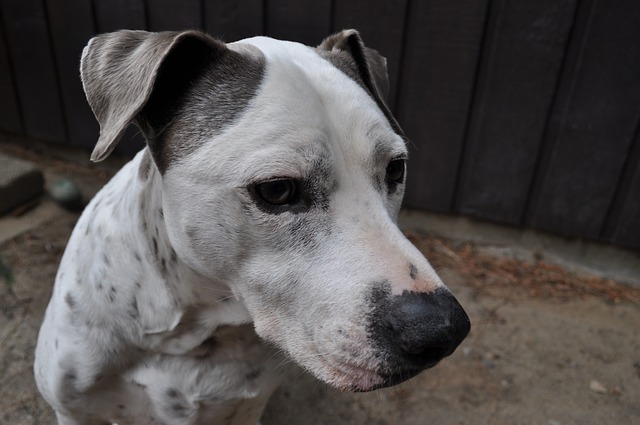 Visit your vet: Before you conclude that any observed sign is due to depression, you should first see your vet to eliminate any possibility of sickness because some of the signs stated above may also show up in a physically sick dog. 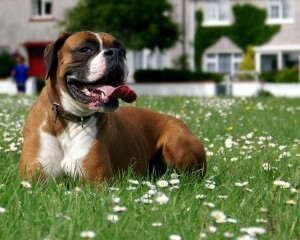 There is an addition to the family such as a new child or dog which may affect how much attention he now gets. You change homes or your dog’s home environment is changed due to a major renovation. Don’t fuss over your dog’s state. Stay calm, be assertive, and patiently attend to his or her needs. Identify the possible cause of the depression and work on finding a remedy. Take out more time to give quality attention – Having more fun time with your dog can help him or her overcome depression. Engage in activities that he or she enjoys, visit the dog park, teach new tricks, play games that would help him or her exercise and so on. 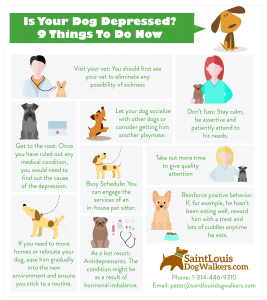 If the depression occurred as a result of a canine companion, let your dog socialize with other dogs or consider getting him or her another playmate. If your dog has to spend more time alone due to changes in your work schedule, you can engage the services of an in-house pet sitter. Reinforce positive behavior. If for example, he or she hasn’t been eating well, reward your dog with a treat and lots of cuddles anytime he or she eats. If you need to move homes or relocate your dog, ease him or her gradually into the new environment and ensure you stick to a routine. As a last resort, if your dog’s condition doesn’t show any improvement after some time, see your vet for possible recommendation of antidepressants as the condition might be as a result of hormonal imbalance. When and Why Should I Spay Or Neuter? Spaying or neutering is a surgical procedure in which the reproductive organs of a dog are removed in order to prevent procreation. For a male dog, it entails removing the testicles while for the female, the uterus and ovaries are removed. In simple terms, spaying applies to a female while neutering can apply to either. These procedures are quite simple, require minimal hospitalization, and have both health and social benefits for your dog. If you don’t intend to keep the offspring of your dog, it is advisable to neuter early for the overall health of your dog and also to prevent over-population. You may neuter your male dog as early when he is between 6 to 8 weeks while a female can generally be spayed when she is at least 6 months old (when she is yet to have her first heat). Because neutering too early may have negative implications, your vet will offer the best advice on the most appropriate time for your dog. Attempting to neuter a male dog later in life may lead to surgical complications, especially in situations where the testicles are retained within the abdomen. This condition is a high risk factor for cancer. Better health: 5 out of 10 cases of uterine infections and breast cancer results in fatality. Spaying helps to reduce your dog’s exposure to these life threatening conditions. For their male counterparts, it reduces their risk of developing testicular cancer, prostatitis and perineal hernias. Besides, your dog mating an “unknown” male or female poses a health risk which neutering prevents. Most male dogs mark their territory by spraying urine and this can be an unwanted behavior, especially indoors. An unspayed female will also yowl and urinate more frequently when on heat. Neutering before the onset of this behavior can completely prevent it from occurring. Low Cost: Spaying and neutering are low cost surgical procedures that won’t hurt your pocket. Compare this to the cost of keeping a litter or paying for damages if your dog causes trouble while straying. My New Dog is Soiling the Crate. What Can I Do? A Health problem – A sick dog may not have the strength to walk out of the crate in order to get rid of waste. Lack of attention – When you leave your dog in the crate for extended periods of time; she may not be able to hold herself and may end up soiling her crate. Upbringing – If your dog grew up in an environment such as a high volume breeding or boarding facility where the space available doesn’t allow for a separate spot for peeing or pooping, they could lose their instinct to separate their living area from the toilet area. So, if your dog was adopted, you may find yourself in this situation. If left unaddressed, crate soiling can become habitual. It is better to housebreak or crate train your dog while he or she’s still a puppy. While the situation can be remedied, the time it takes would depend on how deeply ingrained the behavior has become. Don’t punish your dog for soiling his or her crate as this could create anxiety and worsen the problem. Behavioral issues should always be handled with calmness, positive reinforcement and patience. The barrier or gate should be placed in the doorway to prevent your dog from leaving the room. It should also be high enough to prevent him or her from jumping over. Spread the newspapers or puppy pads to cover the entire room. 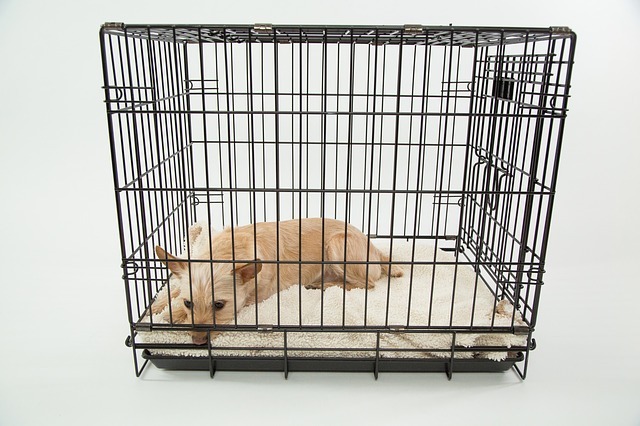 Place your dog’s crate in one area of the room leaving the door open together with his or her water bowl and toys. 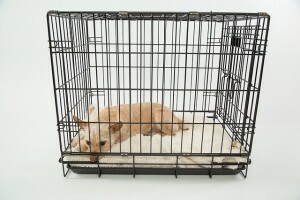 If your dog chooses to sleep in the crate and soils it, get it cleaned and change the bedding. As he or she begins to potty within a specific area of the room, gradually remove the newspapers or pads from the other areas. This stage should be carried out at a very slow pace. If you intend for your dog to potty within the house, you can go ahead and place the piddle pads or litter box in the area he or she frequents. If the plan was for your pet to potty outside, continue taking him or her to the designated area regularly ensuring that you encourage with commendation and treats. Re-introduce your dog to crate training gradually, leaving the door shut for short periods of time. If he or she soils the crate at any time, remove them from it to prevent continuation of the habit. Making sure you take your dog straight from the crate to the designated potty area when it’s time. Ensuring you make arrangement for potty trips if your dog would be alone for long periods. A yard or garden with patches of holes dug in it by your dog can be quite unsightly and unwanted. While you may not be able to completely stop your dog from digging up your yard, you can control the behavior by taking certain steps. There are a number of reasons why your dog digs up the yard. The first step towards fixing the behavior is to identify what is responsible. Having narrowed down the possible reasons, you can choose the best course of action to take. Boredom: Your dog may resort to digging as a means of entertainment. This could happen if he or she doesn’t get as much exercise as needed. Each dog has a different energy level from one another. For hyperactive dogs, going for a walk twice a day may not provide adequate exercise to release all that energy. Provide extra entertainment with a variety of toys and games to help your dog beat boredom. Engage him or her in more vigorous forms of exercises like running or playing fetch with a Frisbee or tennis ball launcher. If you have a dog park in your neighborhood (and your dog likes other dogs,) take him or her there for a quality time of socializing and playing with other dogs. To Hunt Prey: The scent of a prey may make your dog want to dig. Don’t forget that dogs are natural hunters and may sometime succumb to this natural instinct to hunt rodents. To prevent this from happening, endeavor to make your yard rodent-free by seeking professional help. Avoid using harmful or poisonous chemicals to do this as it could harm your dog and other animals as well. Natural Instinct: Some breeds of dogs are naturally inclined to dig than others and most terriers fall into this category. It doesn’t matter whether they are bored or not; they are likely to dig because they enjoy it. 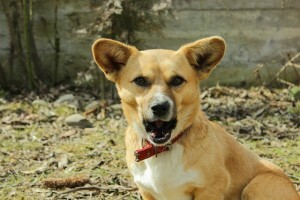 Other breeds that enjoy digging are the Portuguese Podengo Medio and Australian Cattle Dogs. For such cases, you can carve out a section of your yard as a digging area and then train your dog to confine his or her digging within this limit. This area should be fenced with freshly tilled earth. Provide an ample supply of treats like raw bone and chewable toys in this area for him or her to play with. If your dog wanders away from this area to dig somewhere else, stop this behavior with a firm “No digging” command and calmly return your pet back to the carved out area. To Get Attention: Dogs are intelligent creatures and if yours senses that he or she gets your attention (albeit negative) when digging, the behavior is likely to reoccur whenever he or she feels neglected. It is therefore important that you give your dog quality attention and care every day. Don’t leave your dog alone in the yard for long periods. If you notice this pattern, you can correct it by ignoring your dog whenever he or she digs and by lavishing him or her with attention for good behavior. This is a better way to show displeasure than yelling or screaming. To Escape: If your dog digs close to the fence, it may be in an attempt to escape. One thing you can do is to bury chicken wire immediately under the surface of the dirt. You can also fill the area with cement to harden it. For Comfort: In hot weather conditions, Your dog may dig up the earth in an attempt to find comfort from the heat by providing a comfortable dog house in a shaded area and ensuring he or she gets a good supply of water. Compulsive Behavior: If the digging problem is chronic, you may need to get you and your dog enrolled for a basic training. With this and a calm assertive approach, you should be able to deal with the issue. Don’t punish, hit, yell at, nor scream at your dog if you find him or her digging. This will lead to the behavior happening when you aren’t around. Don’t punish your dog after the deed has been done as dogs can’t know the real reason for the punishment and may mistake it for something else. You can provide discouragement by filling the digging area with large, flat rocks to limit access or by sprinkling water on your pet from a hose whenever digging occurs. If you are sure your dog doesn’t eat his own poop, you can put this in the hole to discourage further digging. Alternatively, you can use the peel of citrus fruits, such as orange, lemon and grapefruit, to fence off the area. To be sure that your dog would find the smell of the peel offensive, you can test by placing the squeezed juice on your hand and bringing it close to his or her nose. If he or she backs off or shows anxiety, then the peel can be used. If you need to do some digging yourself, ensure that your dog doesn’t see you as this can reinforce the behavior. Although deciding to add a new family member to your home is a nice idea, it is one that has to be carefully handled in order to ensure that everyone remains happy. There are two very important questions which must be considered and answered before you take the step. Can I cope with another dog? Dogs demand care and attention to keep them going and of good behavior – feeding, regular walks, training, vet visits, etc. Being a pet owner places on you the burden of responsibility; Are you ready to carry more? Do you have the resources in terms of time and money to lavish on another dog? Your answer to these questions would determine if you should go ahead or not. Granted that dogs are sociable animals, each one has a unique personality and because of this, issues of dominance and confrontations over shared resources can arise. Study your resident dog to know his or her temperament – is your pet the calm, quiet and shy type that may cower in the presence of a more aggressive, louder and bolder dog? Take your dog through a reward-based training to respond quickly to verbal cues and commands so that he or she responds to your instructions to sit, focus etc. Train your pet to behave well while in the company of people and other dogs. Ensure that he or she gets daily sessions of exercises, play and rest. Your dog should have his or her own bed space, toys and play area. Leash training is required to keep your dog in check in case the need arose. It is necessary to ensure that you can be in full control to be able to avert any display of aggression. 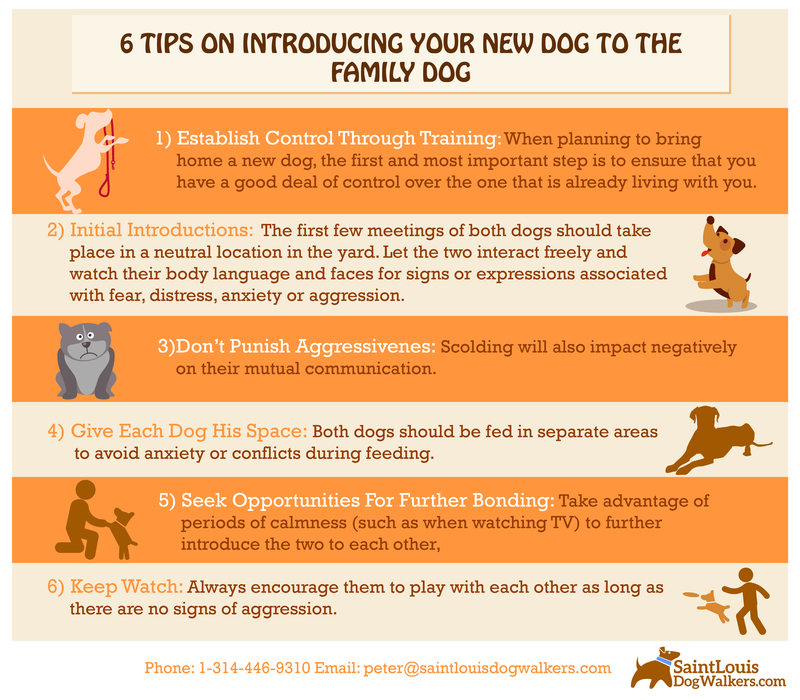 Initial Introductions: The first few meetings of both dogs should take place in a neutral location in the yard or away from home. During this period of introductions, use a leash sparingly and only when it becomes necessary. Let the two interact freely and watch their faces and body languages for signs or expressions associated with fear, distress, anxiety or aggression. If both of them decide to ignore the other and play alone, it’s okay. Good behavior from either dog should be rewarded with food treats. These meetings should be brief and followed by a short period of rest when you cater to each dog’s needs. Don’t Punish Aggressiveness: It is important that you allow both dogs express themselves freely. If you punish your dogs for lip lifting, growling, snarling or snapping, this might suppress these natural instincts. Scolding will also impact negatively on their mutual communication.If you notice a fight brewing, call the resident dog to sit and stay with you or redirect the attention of both dogs to other activities. 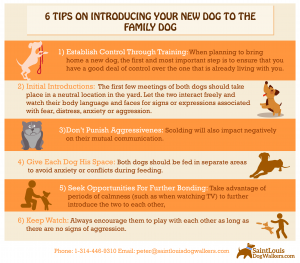 Seek Opportunities For Further Bonding: Take advantage of periods of calmness (such as when watching TV) to further introduce the two to each other, During these times, put a leash or some other form of restrain on each dog and always reward friendly behavior. Keep Watch: Keep a close watch over both dogs. The new dog should naturally be willing shy away from confrontation and defer to the resident dog. Always encourage them to play with each other as long as there are no signs of aggression. Having an allergy shouldn’t come between you and your desire for a canine companion. There are quite a few dog breeds out there to choose from and with a little bit of attention to grooming you can enjoy a great relationship with your dog. Before you finally decide to take your dog home, it is advisable that you spend about half an hour with him or her in an enclosed place to be sure that you’d be okay. Choosing from any of these breeds does not guarantee that you wouldn’t still be exposed to allergens. 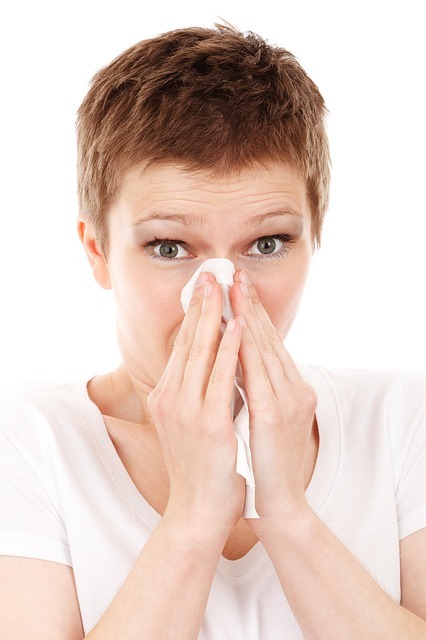 So, you’ll need to pay attention to the following tips in minimizing your exposure to dander and other allergens. Although breeds that don’t shed or shed lightly are preferred, you might want to consider your schedule as the grooming needs for each breed differ. The long coat of the Coton de Tulear, for example, requires daily grooming while The Irish Water Spaniel (Rat Tail Spaniel) doesn’t require as much grooming. Also important is the energy level of the breed. While some like the American Hairless Terrier would do just fine with moderate exercises like walking and indoor play but require regular grooming, others like the Peruvian Inca Orchid have a great deal of energy and require regular activities, although needing minimal grooming. A breed like the Lagotto Romagnolo on the other hand, requires plenty of activity while also needing regular trimming and brushing to prevent its coat from matting. Dog dander is not restricted to the body because the urine and stool can also carry traces. Get rid of accidents promptly ensuring you use hand gloves and sanitize the affected area using an enzyme cleaner or bleach. Regularly bathing and grooming your dog’s fur is another way to reduce your exposure to allergens. However, you shouldn’t go overboard with bathing your dog as excessive washing can result in dry skin which may make your dog resort to scratching and leaving dead skin particles in the air. Ensure that your dog is not exposed to dust mite or other allergens by ensuring that her sleeping area is kept clean always. If you have allergy symptoms, it is advisable to not allow your dog access to your bedroom or bed to prevent any triggers. Vacuum your carpet regularly to remove trapped dander, fur and other allergens. Better still, you may consider tiling your floor or opting for hardwood or vinyl flooring. Xloloitzcuintli (Xolo): This rare dog breed is very easy to care for because it is usually hairless or comes with a short coat which does not require a lot of grooming. This makes it an ideal hypoallergenic dog. Portuguese Water Dog: The Portuguese Water Dog has a webbed feet and a waterproof coat which requires regular grooming but makes it able to cope pretty well outdoors. This breed is suited to people with low tolerance to allergens. The Bichon Frise: This breed has a curly coat that produces little dander and is another good choice for people prone to allergies. MY DOG HAS DIARRHEA, WHAT DO I DO? As a dog owner, Diarrhea is one of those symptoms that you are likely to deal with eventually but it also one that can be easily remedied without necessarily requiring a visit to the vet. Diarrhea results when something goes awry with the gastrointestinal (GI) tract and is easy to identify. It could simply be your dog’s body reacting to an ingestion of bad food or food-borne pathogens. In this case, the diarrhea helps to quickly get rid of these unwanted materials before they become absorbed and pose more danger. Mild diarrhea will wear off after a while and with a little home care and adjustment of your dog’s diet. The disorder persists for more than 48 hours. It is accompanied by vomiting. 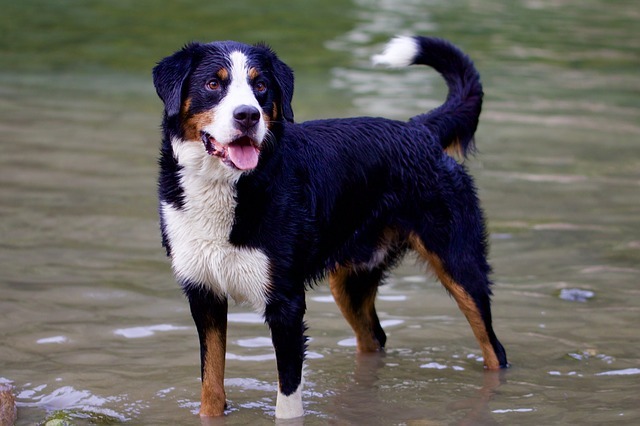 In this case, your dog loses a lot of water rapidly and could become dehydrated. You observe that the stool is black and has traces of blood in it. Your dog groans or pants rapidly, looks bloated or tries to avoid being touched in the abdominal area. All these are indicative of abdominal pain. Your dog becomes lethargic or slow. In any of these situations, you should see your vet promptly. Fast your dog from food: Diarrhea causes your dog’s bowel to become too sensitive and contract faster so that food is pushed through quicker than it should. Making her stay off food for about 12 to 24 hours gives the bowel time to rest and recover from the effect of the pathogens. During this fast, you can give her white rice-water. This is the creamy liquid you get by boiling 1 cup white rice in 4 cups water for about 20-30 minutes (or half this measure to prevent wastage). After sieving off the rice and allowing the liquid cool, you can serve it to your dog as often as he or she accepts it. You can add a little extra flavoring such as a teaspoon of chicken baby food to make the liquid tastier. Also, ensure that your dog drinks a lot of water during the fast to prevent dehydration. Use Probiotics: Your dog’s bowel contains microorganisms which aid digestion and these could become depleted as a result of the diarrhea. Probiotics are live bacterial cultures similar to these and administering them on your dog would help to quickly replenish any shortage of these bacteria and speed up recovery. Probiotics can be added to the rice-water solution once daily during the fast and continued for 5 days. Please note that probiotic supplements for dogs are available over the counter and are different from that of humans or cats. Ease your dog off the fast gradually: Don’t resume your dog’s regular diet immediately after the fast. Start him or her out first with some bland, non-fatty easy-to-digest food such as chicken without the skin or a combination of chicken with boiled white rice, pasta, or mashed potatoes. You can also mix equal portions of cooked ground turkey and pumpkin or sweet potato and feed this to your dog 2 or 3 times a day until the stool becomes normal again. Don’t serve your dog food containing milk and dairy products. At this point, your dog’s stool should be scanty and pale which is an indication that she is getting better. If your dog doesn’t like the bland food you can try out prescription diets such as Purina EN and Hills ID which could help in speeding up recovery. Feed smaller rations: Divide up your dog’s meal into smaller rations and feed him or her several times during the day. Return your dog back to his or her normal diet when the diarrhea has ceased. In handling or training your puppy it is better to view him or her as you would a human toddler and try using some of the methods that would work for a child in dealing with whatever issues may arise. The basic difference is that dogs do not communicate on the same level as we do, you therefore would also need to have an idea about basic canine communication and how these adorable creatures relate with one another. If your puppy doesn’t want to walk, you needn’t become overly concerned or worried. Stay calm and consider that all you may require is a little adjustment in your approach and perspective. Let’s consider 3 important things necessary for achieving results in puppy training. Your puppy is intelligent but not as much as you are: as dog owners, we sometimes tend to forget that although our canine family members are quite intelligent, they are not as intelligent as we are and therefore still look to us for leadership and direction- just like toddlers. You are a puppy parent but not a dog: Ordinarily, without human influence, a puppy would get all the training it needs from and older dog and through interaction with other members of the pack in the ‘family’ way. Patience is key: Results may not come overnight; you must be ready to stay positive, assertive and reinforce positive behavior. Once these 3 considerations are in place, it then becomes pretty easy to not only encourage your puppy to walk, but to also give all the needed training that is required. Health problems: First, check with your vet to be sure that your puppy is physically okay. Ruling out a health problem can put your mind at ease so that you can focus on dealing with the issue. Fear: Your puppy may loathe leaving your apartment for a walk because he or she is afraid and this is understandable. Your pet is just starting to make sense of the world and busy sidewalks or a strange environment may cause fear and an unwillingness to venture out. 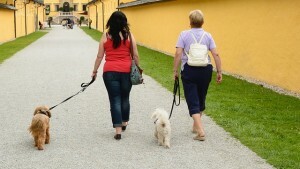 To deal with this, you may enlist the help of an older dog in motivating your puppy to believe that walking can be fun. 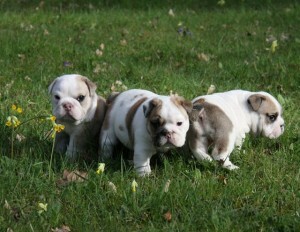 You may also try walking as a group with other dog owners to encourage your puppy. In time, your puppy will most likely become comfortable with the idea. The leash: Your puppy might resist wearing a leash. You may hold off using the leash if your puppy is less than 14 weeks old. When introducing a leash to your puppy train him or her to associate it with playtime. On walks, use the leash only as a guide and not just to restrain movement. Each time your puppy ventures out for a walk, let him or her know you are happy by offering treats and a pat on the head.